As a former classroom teacher of nearly a decade, I looked forward to few things more than summer. Now, as a parent of three young children, I approach summer with a very different perspective. The 10-week task of keeping my kids engaged without going bankrupt can be overwhelming, to say the least. Centuries ago, summer was a time dedicated to planting and harvesting, a time for families and communities to focus their energy on sustenance and surivival. Fast forward two hundred years, my “garden” now takes about a weekend to tend to–which gives you a sense of both my farming skills and where we’ve come as a society. Urbanization and universal education have revolutionized school calendars. We’ve replaced agricultural seasons with family vacations and a “break” from school. The question—and the risk—lies in what happens during that “break,” and to whose children? For our middle and upper class neighbors, “summer break” brings the promise of family vacations, and memories made at camps or local enrichment programs (sports/arts/music) provided privately or by community-based organizations. Through these experiences, children largely continue to learn, in measurable and positive ways throughout summer. However, for many other children – especially those from low-income families – summer can be boring, a time of inactivity and isolation. Kids can’t play outside if their neighborhoods aren’t safe, if they live closer to liquor shops and corner stores than they do to well-maintained parks or recreational spaces. 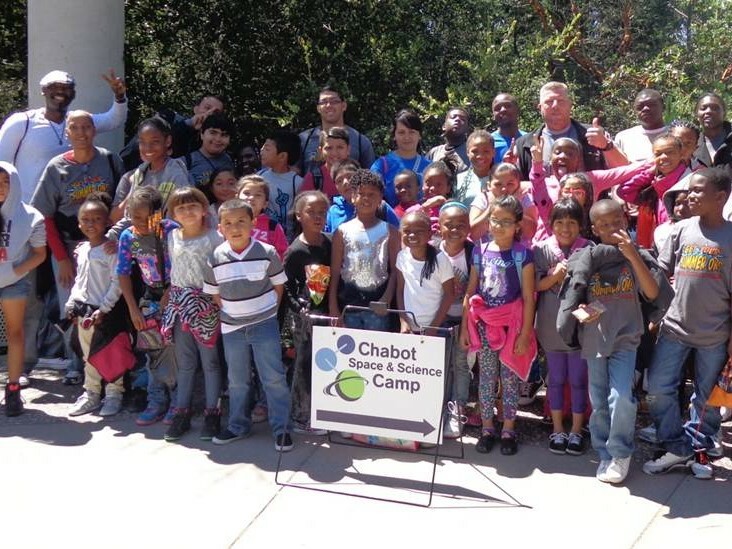 For communities like Richmond, summer “break” means a break from learning altogether. Unequal access to summer learning and enrichment opportunities mean that most of our vulnerable students not only stop learning, but they’re likely to lose what they have learned throughout the year. This summer learning loss is a significant factor in the achievement gap we see in our West Contra Costa schools between low-income students and their higher-income peers. Learn more about summer learning loss through this two-minute video. A low-income student will lose two months of learning per year during the summer. 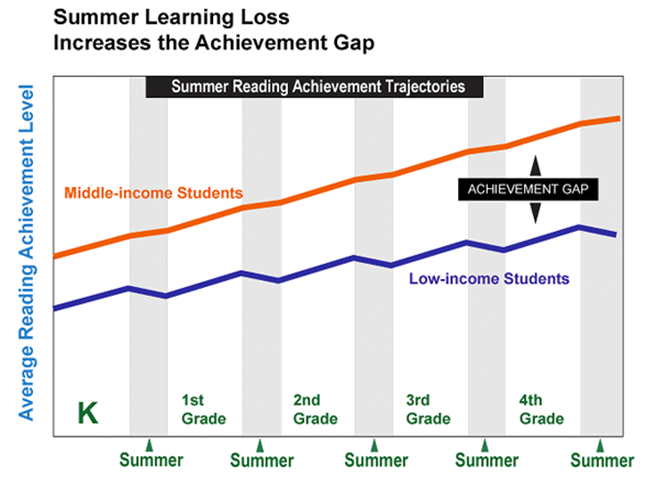 2/3 of the achievement gap in 9th grade is attributed to summer learning loss. Together, we are working to address the shortage of low cost/no cost summer program options for our kids. We recognize that summer programs are an essential strategy for West Contra Costa schools and communities to offset summer learning loss. 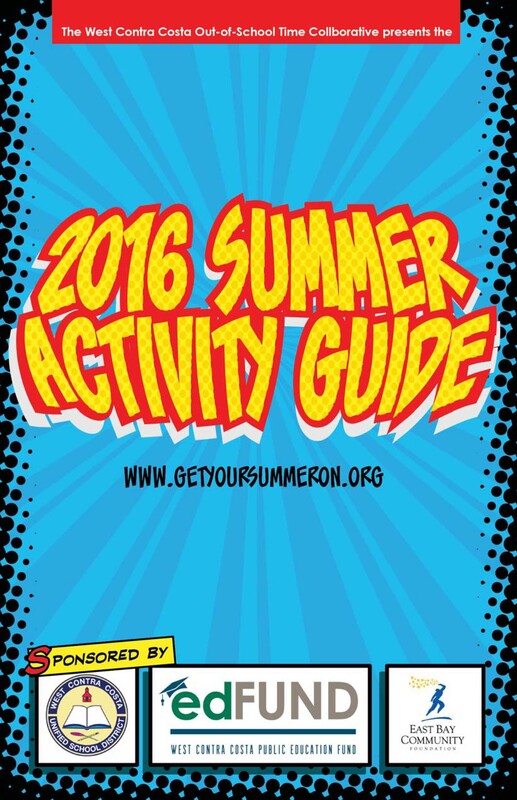 To help you find the right activity or program this summer, the Ed Fund publishes the Get Your Summer On! summer activity guide. This annual resource highlights the free and low cost activities available to kids and families in throughout the East Bay each summer. This free guide is delivered to every elementary school in WCCUSD at the end of April and is available online at: http://edfundwest.org/getyoursummeron. As summer approaches quickly, I urge you to make the most of this wonderful resource and start your planning now, as many programs fill up by late April and early May. My wife and I are also making use of the Ed Fund’s website, www.getyoursummeron.org. Locate a summer program that fits your budget. Programs offered by schools, recreation centers, universities, and community-based organizations often have fee waivers or sliding scales based on income. Play outside. Power down the TV and electronic games. Seek out or organize physical activities that lead to strong bodies and minds. Explore and learn locally. If you are taking a day trip by car, choose a place with an educational theme. A regional park is a low-cost way to get outside and learn about nature. Take advantage of free or low-cost educational trips to nearby museums, zoos, and nature centers. Head to a library in our community! They are safe, free, and local resource hubs. Check out books that interest your child. Participate in free library summer programs and make time to read with your child every day. We hope you have a great summer, and remember to stay safe, keep active, and most importantly, keep learning! Robert Bunce has been a non-profit administrator, educator, and consultant for more than 20 years. 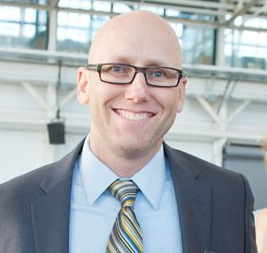 Since 2010, Robert has worked for the West Contra Costa Public Education Fund, overseeing a College Access and Out of School Time educational initiative, two unique partnerships between the District, five cities, community based organizations, and post-secondary institutions aimed at improving college readiness and college-going rates across the district. As a community leader in the college access and Out of School Time field, Robert has leveraged relationships to develop district & regional strategies to increase college going-outcomes for underserved youth. His work in West Contra Costa has increased access to high quality Out of School Time programs and made available nearly $20 million in new public and institutional aid for students and their families annually.